Raw cheeses are a surprising delight. 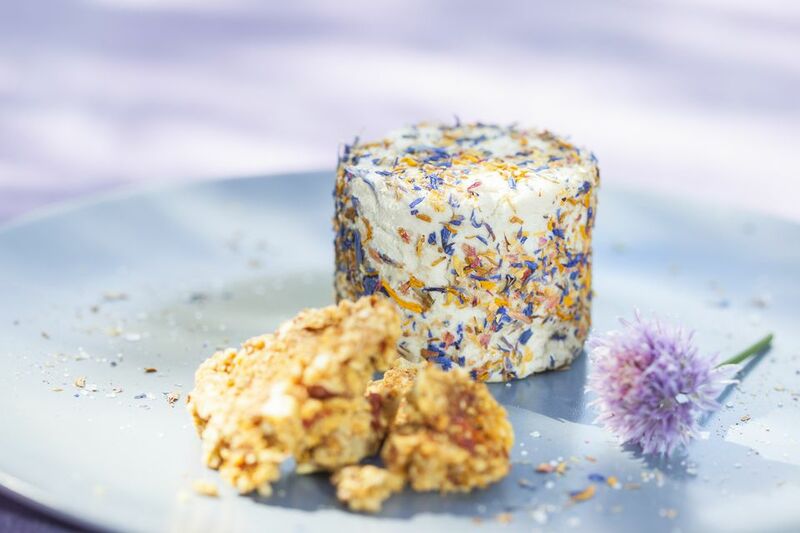 Some raw cheese recipes need to ferment overnight but this recipe is a quicker, simpler way to use nuts to make a thick, creamy raw cheese in just a few minutes (plus some soaking time to soften up those nuts!) using macadamia nuts. If you can't find macadamia nuts, cashews will also work but are generally considered not truly "raw" even when they are not roasted. This raw cheese recipe works great as a topping for raw pizza crusts, a dip for fresh veggies or on the side of a nice salad. Drain and rinse the soaked nuts and place them in a food processor. Process on high speed for 10 seconds. Add the remaining ingredients​, except the water, and process for another 10 seconds. If needed, add water little by little to create the right consistency for your purpose. In general, a wet and slightly chunky consistency resembling the look of ricotta is good. Like exploring unusual and creative raw vegan recipes?